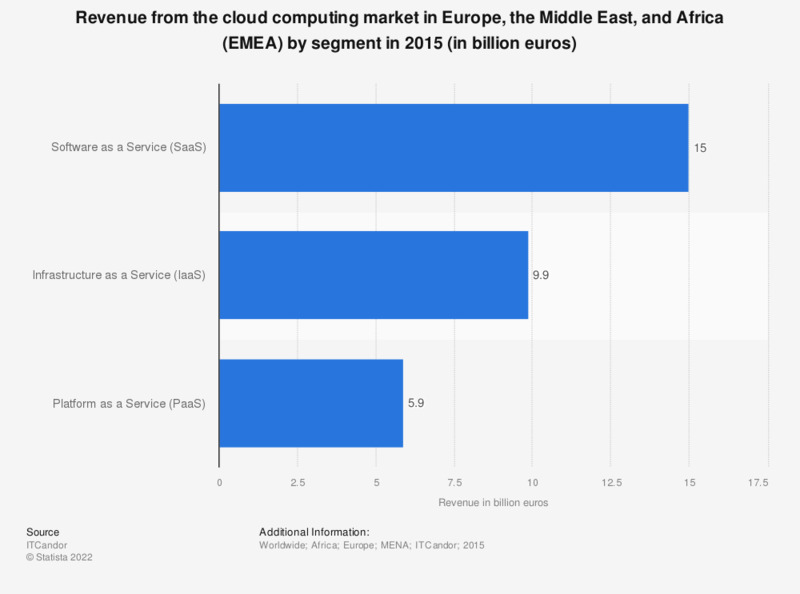 The statistic shows the distribution of revenue in the cloud computing market in the EMEA (Europe, the Middle East, and Africa) region in 2015, by cloud segment. In 2015, Software as a Service (SaaS) represented the largest segment of the EMEA cloud computing market, responsible for 15 billion euros in revenues. Overall, in 2015 the EMEA cloud computing market generated 29.9 billion euros in revenue, while the global market generated 109 billion euros in revenue.